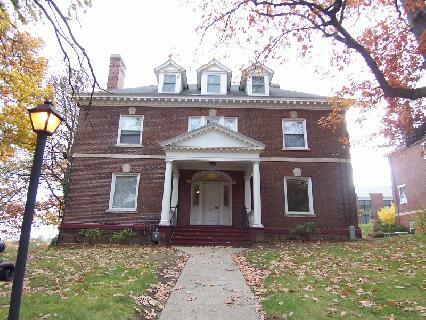 This elegant brick mansion is located at the top of Science Hill, near the Forestry School, the School of Management, and the Divinity School. The apartments enjoy views across Science Hill and over to East Rock. Rent includes heat and hot water; tenants contract for electricity. A laundry room in the basement services our residents and on-site parking is available for an additional fee.